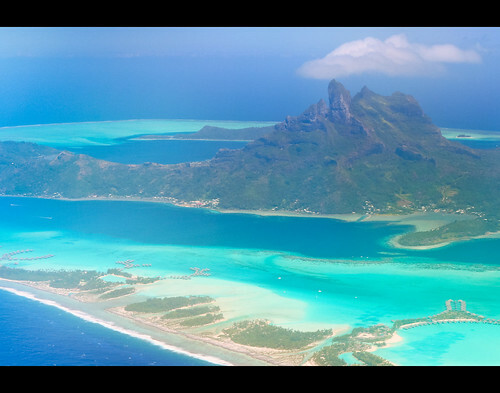 Bora Bora, French Polynesia-2.jpg, originally uploaded by erickPDX. First sight of the striking Mt. Otemanu and lovely Bora Bora. you can see the newer hotels on the outer motu below.